Momentum M-Class Toy Haulers are the point where absolute luxury meets mobile garage. The Toy Hauler bar has been raised with Grand Design's innovative design, quality construction, and luxurious appointments throughout. We know you'll agree with us when we say that the Momentum us the place to live well and play hard. 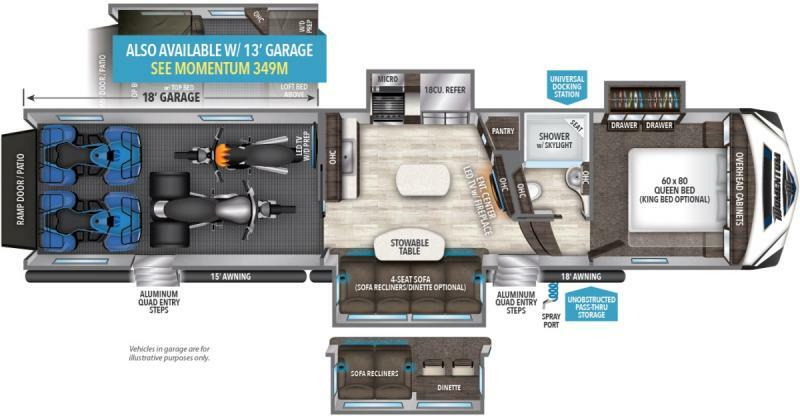 Contact Affinity RV for details on our 2019 Grand Design Momentum 398M and start your RV dreams today!